Cennad cylchgrawn Y Gymdeithas Feddygol. 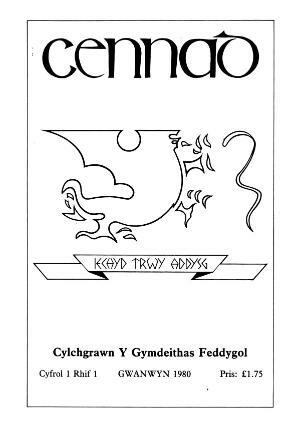 Cennad: cylchgrawn Y Gymdeithas Feddygol was a Welsh-language journal containing articles on clinical and general medicine in Wales. Publisher Details: Y Gymdeithas Feddygol was formed in 1975 to provide an opportunity for doctors and medical students to discuss clinical topics through the medium of Welsh. At the moment it organises one conference per year. It published the journal Cennad from 1980 to 2003 to record clinical matters.